Spodek, Katowice – Heavyweight Mariusz Wach (33-5, 17 KO) announced before the fight that he would impress his critics, and although in the ring he was more active than we’ve seen him in most of his recent fights, it was definitely not enough to defeat Martin Bakole (12-1 , 9 KO), who knocked out the Polish giant in the eighth round. For most of the first round, the Pole effectively boxed in a defensive manner, stopping with the right-hand counter-attacks of the left-hand attacks of Bakole. However, his activity at the end of this round had decreased, which in the last few seconds led to him being effectively attacked by Bakole. This was a harbinger of what happened in the next four rounds, with Wach trying to do his best by boxing and Bakole putting together a much better combination of punches. Surprisingly, in the fifth round Bakole’s straight left landed through the double guard of the Pole. Wach’s activity dropped to a minimum, which his rival took full advantage of, going to the semi-distance with impunity and charging punch after punch to Wach’s head. The only thing that could impress was the almost superhuman resistance of Wach to these punches. The corner managed to motivate Wach a bit, and he came back with a successful sixth round, in which he was probably the most active in the whole fight. However, he owed this to the calmer attitude of Bakole, who perhaps decided to rest a bit after the extremely dynamic action in the earlier rounds. Unfortunately, Wach’s rally only lasted for three minutes. 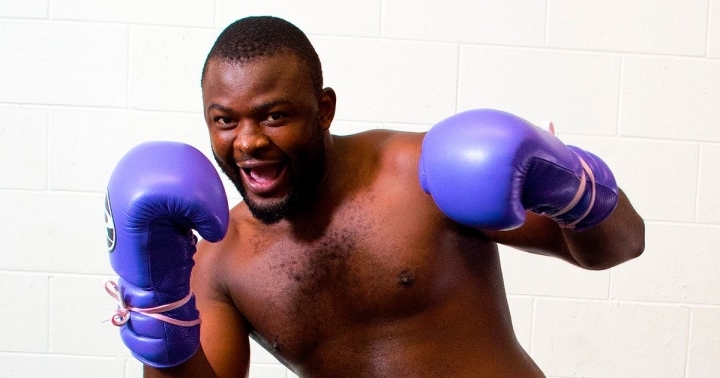 In the seventh round, Bakole repeated his attacks and the Pole once again found himself under a barrage of punches for which he could not find any answer. The end took place in the eighth round, when after Bakole landed twelve unanswered blows on Wach’s head – which forced referee Robert Gortat to step in and stop the fight. Bakole, initially booed by the fans at the start of the contest, would later receive an ovation from the crowd in attendance.